Hi everyone, i hope you are all well, can you believe the weather at the moment? I think we've had every season possible up North over the past week and I'm a little unsure on what the best thing to wear is...coat or no coat? tights or no tights? take an umbrella or chance it? 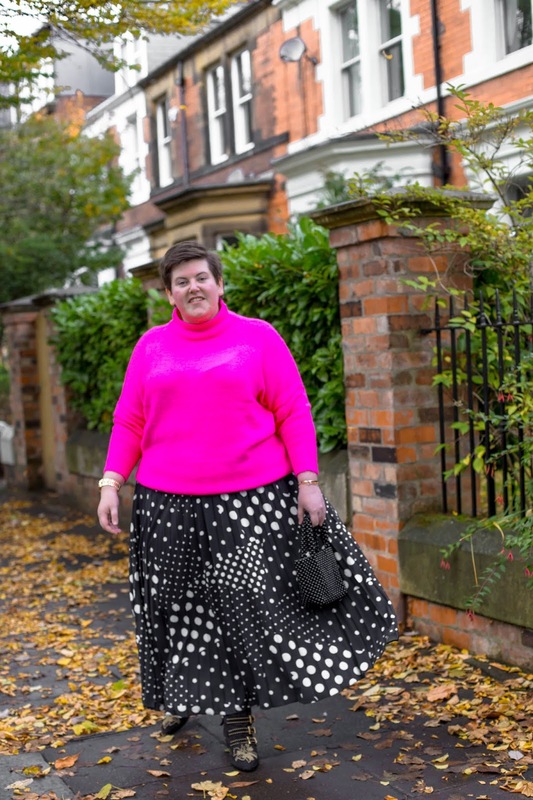 Today I'm sharing two of my favourite trends that's I've been loving since last year, not entirely sure if these trends are still here to stay for 2019 but I'll be wearing them anyway. 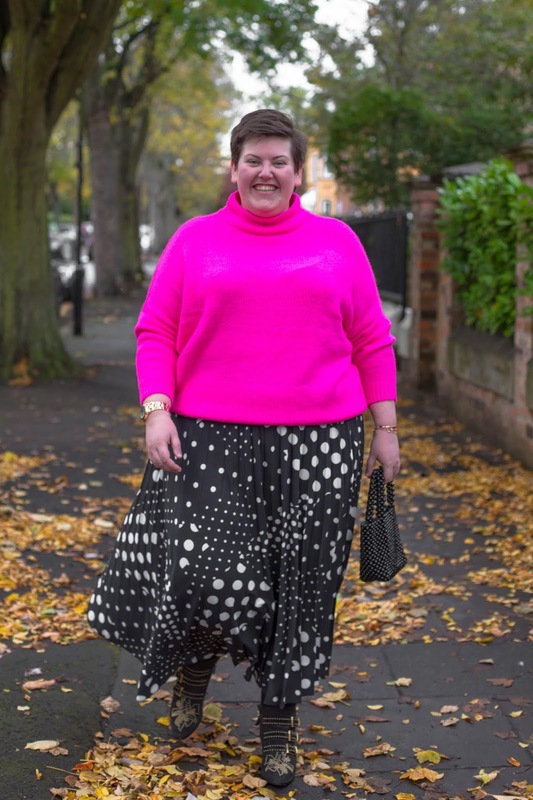 POLKA DOTS: ever since i purchased my beloved wide leg, black polka dot trousers from River Island last year; i have taken great pleasure in making sure that i have a lot of polka dot in my wardrobe. 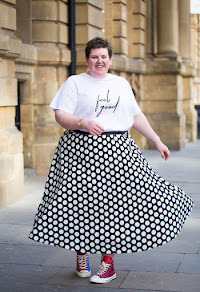 A pleated skirt is a big love of mine, I know i have a skirt with larger polka dots but it was the combination of the polka dot size and pattern on this skirt that made me buy it (well done Simply Be - its a winner in my eyes). I will get a lot of wear out of it and its perfect to team with a tee and sandals or boots. 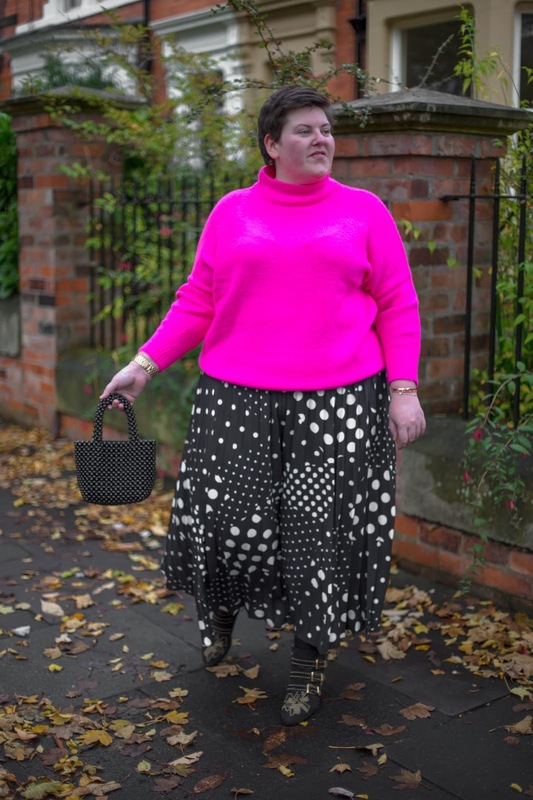 There are also a few more polka dot items that i found in my wardrobe that i will be getting a lot more wear out of over the next few months. 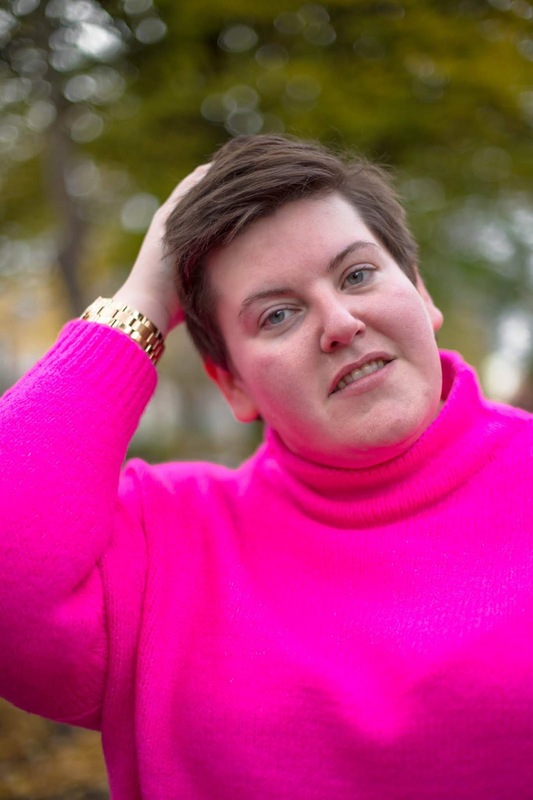 BRIGHT COLOURS: I'm not sure that ill be wearing anything brighter than this jumper but even with an accessory or two ill most defiantly be incorporating a touch of colour into my outfits. 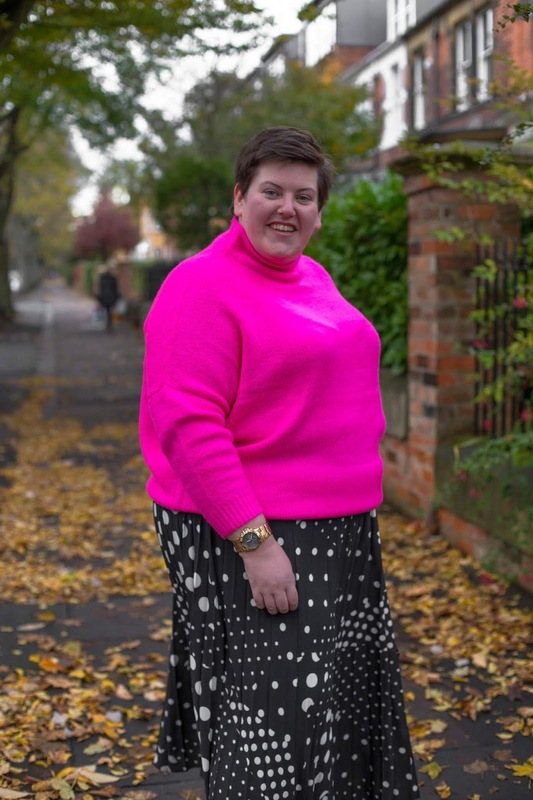 I know jumpers are not the most practical for the summer, but they are prefect for spring when its still a little bit chilly. 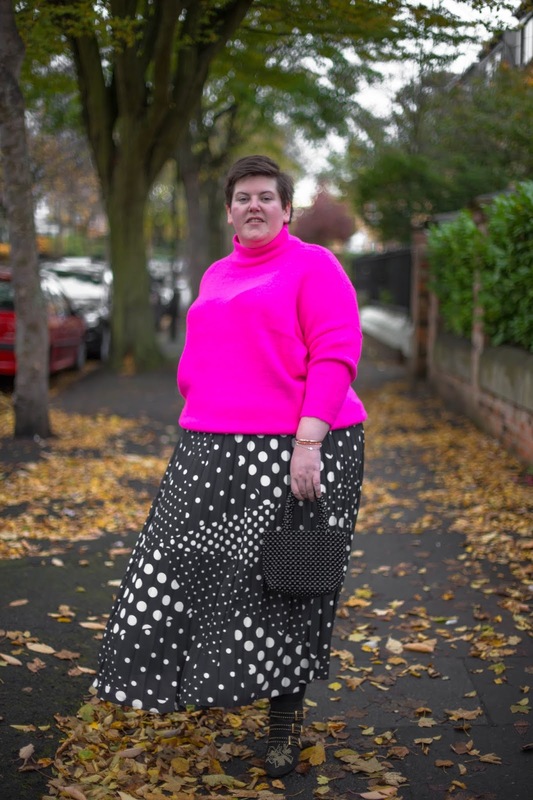 What trends will you still be wearing in 2019?